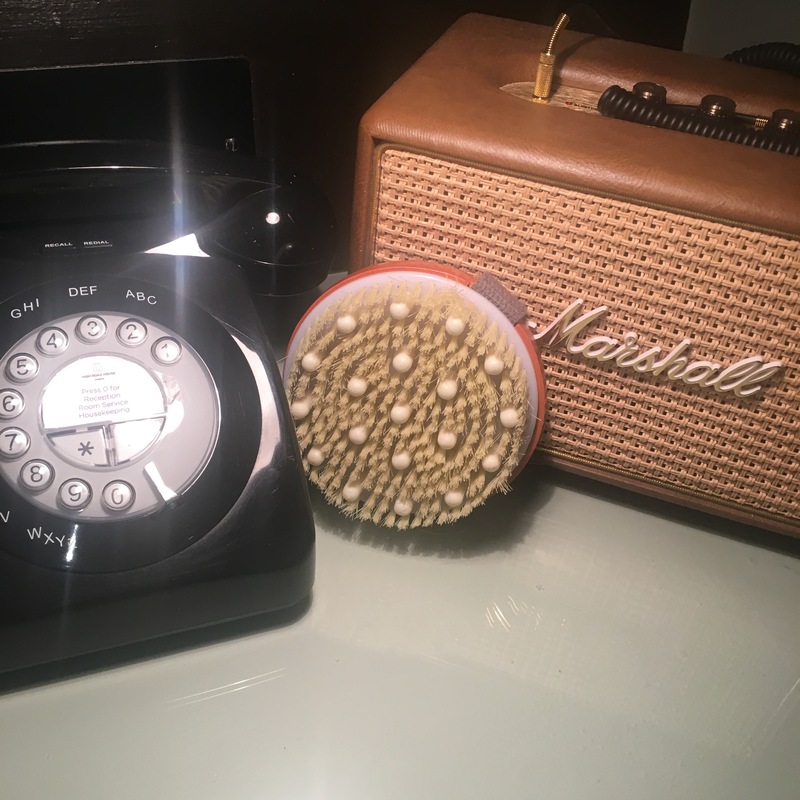 Dry body brushing – something we all know that we should be doing – but it’s easily a morning ritual that goes to the back of a priority queue. I’ve recently upgraded it to an essential part of my morning routine, and I even now pack it in my suitcase when I travel. 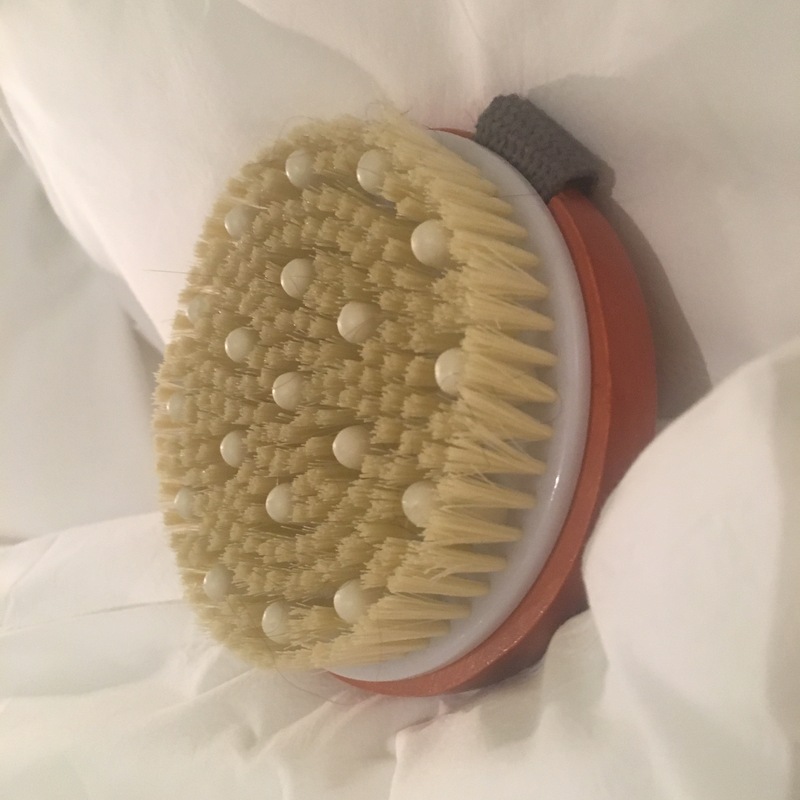 I always used a long handled Body Brush when I found the time and actually since ARK Skincare launched a circular hand held brush two months ago not only is it packable but its also easier to control whilst body brushing. 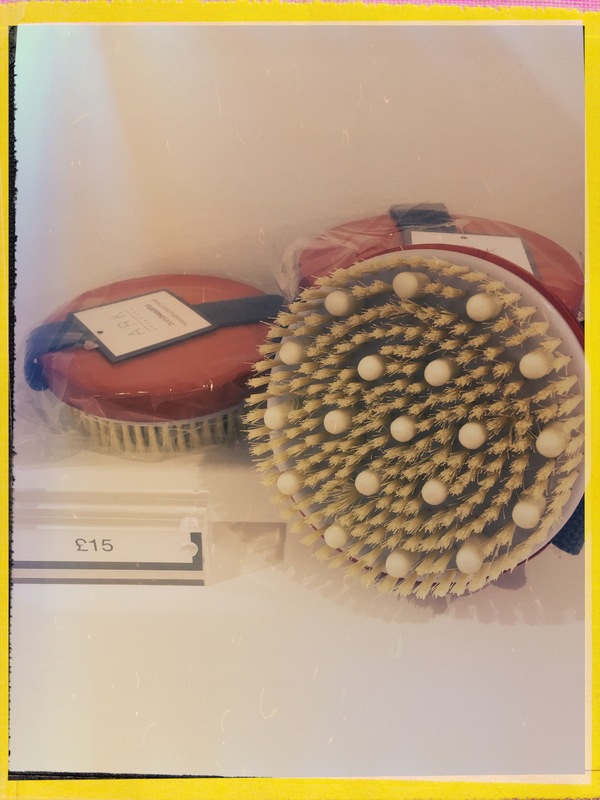 ARK’s body brush combines massaging nodules and bristles which feels amazingly good – but the combo aids vascular blood circulation. There are SO many benefits to body brushing, as touched on above. The skin is the largest eliminative organ in the body, on average eliminating over one pound of waste each day primarily through sweating. Detoxification of the body is taken care of by organs such as kidneys, liver and the lymphatic system – the detoxification of the skin is hugely aided by dry body brushing. You feel an instant tingle through your limbs as soon as you start. Dry body brushing acts as a semi-exfoliator removing dry patches of skin and dead skin cells which encourages cell renewal, it gets the circulation moving (which for me is the absolute priority), it wakes the body up, it helps prevent ingrown hairs, it helps to reduce the appearance of cellulite, it stimulates the hormone and oil-producing glands which as a result keeps skin more toned over time, it supports the lymphatic system in it’s work to cleanse the body – which can drastically reduce water retention. It’s all in all one of the best things you can do for your body every day – and if it’s possible to remember to even spend 90 seconds doing this every day it makes a huge difference. The main and most vital rule is always brush towards the heart. I start on the soles of my feet and brush upwards repeatedly from my feet to mid leg and then up concentrating wholeheartedly on the backs of the thighs, over the groin (a very important zone for elimination), the very base of the back is another vital zone. Up, up, up on the front and back of the body – and when I get to under the bust I stop and begin to work up from the arms. I gently brush down the chest (towards the heart) and down from my shoulders on my back. It’s a hugely invigorating process. 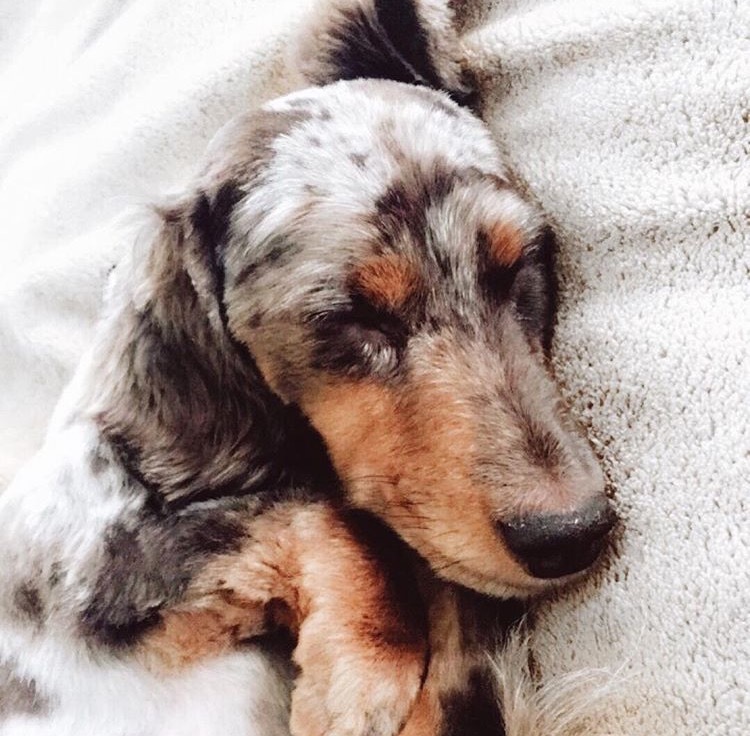 If you happened to wake up feeling sleepy or below par this is an incredible pick me up. The best thing with body brushing is to do it every morning before showering or bathing. At a minimum of three times a week but aim for every morning. I do it while the shower is heating up. If you could manage two or three minutes that would be optimal – but even for one minute every morning makes a huge difference. An ARK Skincare tip – Follow body brushing with a blast of cold in the shower to shock the system and get it working into overdrive to aid detoxification. Follow with a warm shower using ARK’s Vitality Hand and Body Wash (£28.00) which contains sea minerals, coconut and shea butter which gently cleanses without irritation as the fragrance of rosemary, palmarosa, jasmine and ylang ylang are all 100% natural. As ARK’s brand supporter and number one fan I have the code SUSIE15 for any of my blog readers to use to get 15% discount on their order across the range. ARK are also offering free postage and packing on every UK order. Follow ARK on instagram @arkskincare for offers and launches.